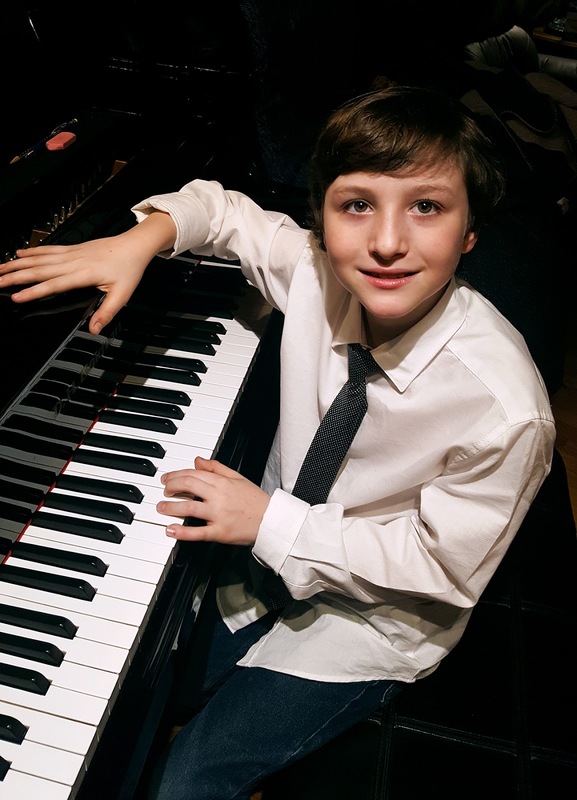 Camilo Rodriguez started his piano studies at age three with his mom, Louise Dionne, who teaches music at the nearby State University of New York at Plattsburgh. He submitted his first Great Composers Competition with a Mozart Minuet in F, K. 2 which made final round, awaiting the results. This is his second competition. He loves listening to Classical Music and especially enjoys Schubert. Camilo is in Fourth Grade at Chazy Central Rural School, a famous rural school in Northeastern New York State, just south of the Canadian border. Camilo speaks three languages: English, French, and Spanish.